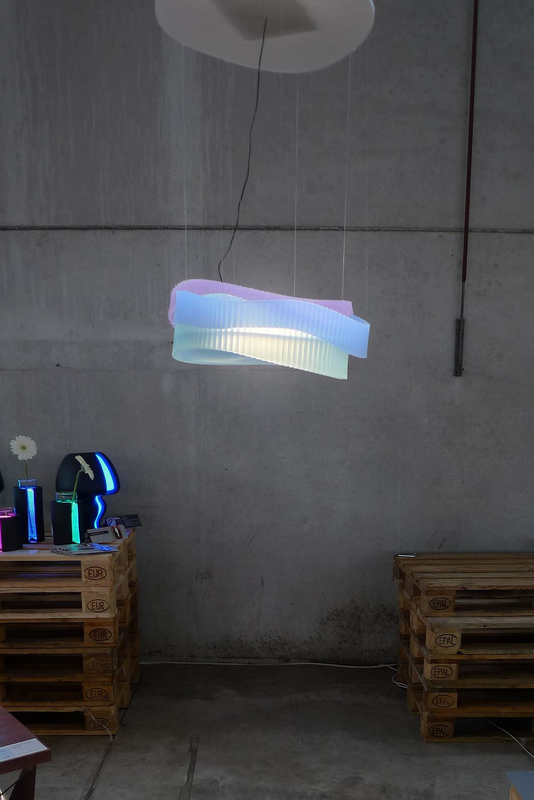 Symphony Lamp inspired by light & sound waves. 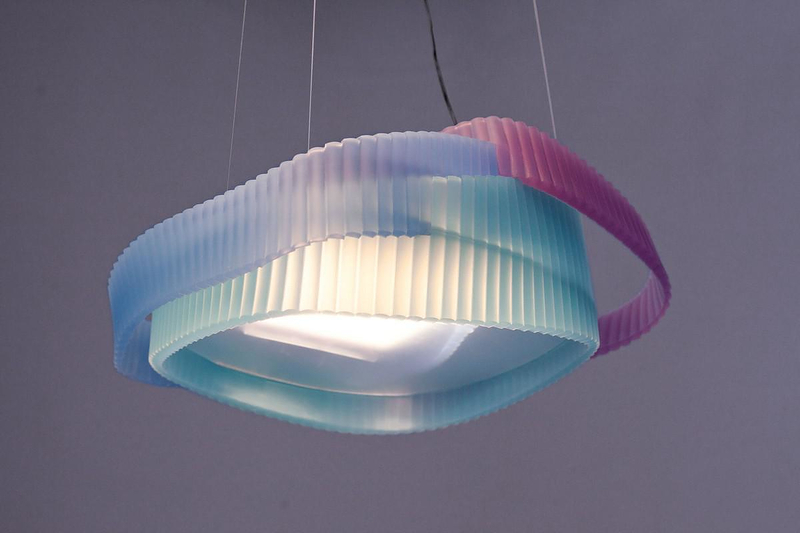 HomeBlogHome DecorSymphony Lamp by Anna Strupinskaya & Alexey Ivashkevich. 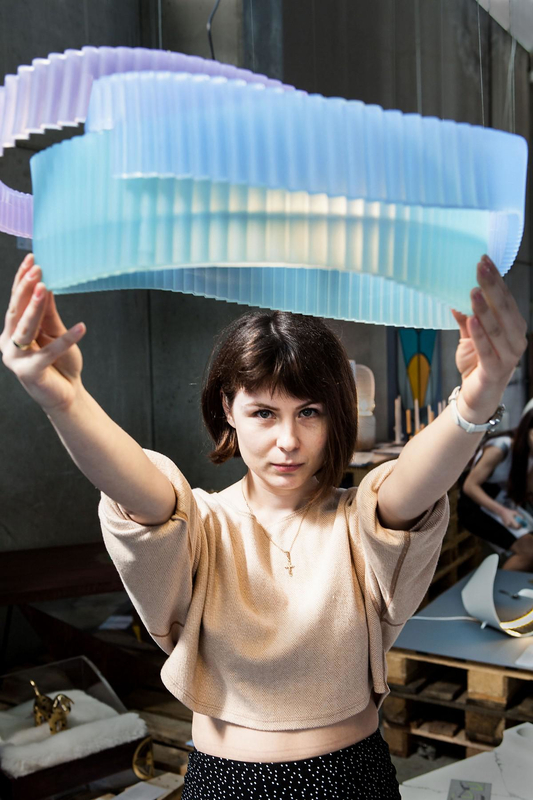 Russian designers Anna Strupinskaya and Alexey Ivashkevich present the Symphony Lamp a stunning silicone lamp design that imitates light & sound waves. This new innovative design was unveiled during Milan Design Week 2014. The concept of the chandelier explores the connection between light and sound waves and their resemblance. Light waves and sound waves, two types of energy that define our life and the perception of our surroundings. 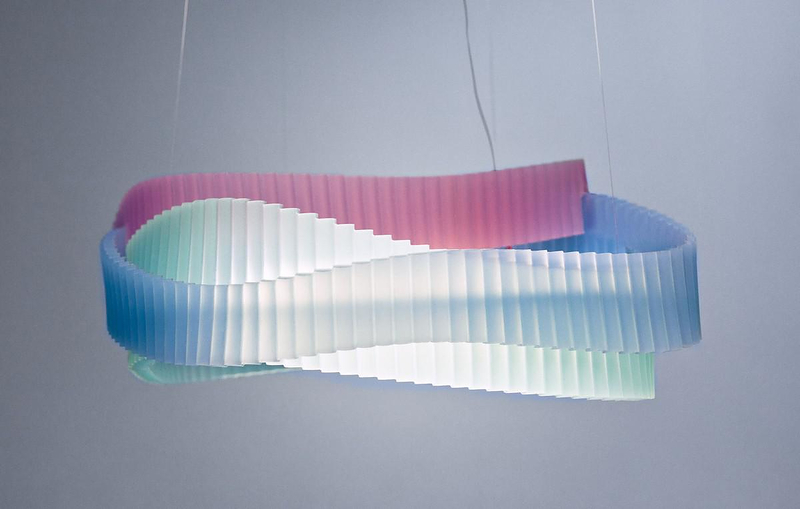 In the Symphony Lamp Light, color and sound are visualized in three interlaced spatial ribbons. The ribbons of translucent silicone imitate rows of tubes that contribute to the perception of the musical instruments theme. Anna and Alexey started their creative collaboration in Moscow more than 10 years ago. Their areas of expertise include product design and light design particularly as well as interior and transportation design.